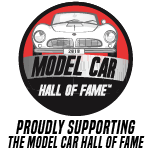 Aside from your own garage or a museum, there’s probably no safer place for a priceless classic car than a concours event. Not just any old show ‘n’ shine gathering, but a high-end concours d’elegance, where the spectators keep a respectful distance and no one does a burnout to impress everyone as they leave the park. 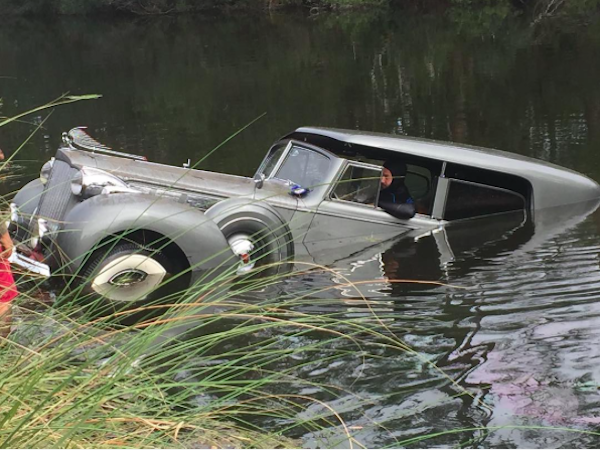 The owner of this 1938 Packard 1605 Super Eight Convertible Sedan found out the hard way. 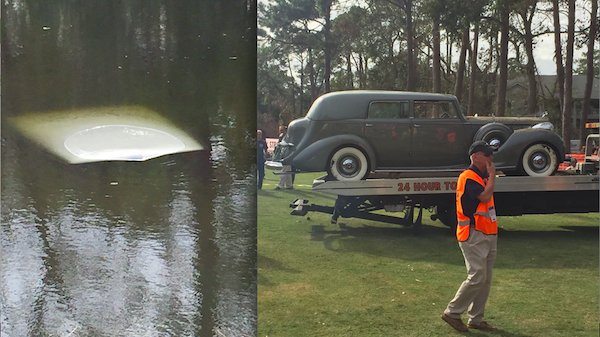 The one of a kind car (literally… there is only ONE of this convertible/hardtop in existence) was parked on a gentle slope at the 2016 Councours D’Elegance at Port Royal Plantation, when it started to roll backwards. Into a pond. The mostly submerged car was too heavy to be pulled out by volunteers. Divers had to be called in to attach cables so the car could be winched out. Below is a video of the rescue effort. While the car didn’t appear to be severely damaged, the repair bill must have added up quickly for the million dollar car. Just cleaning the mud and muck out of every little corner will probably cost a pretty penny. Let’s hope the owner had really good insurance coverage!